When I was a kid Columbus Day had always made me feel angry and awkward. I remember sitting in school in the third grade listening to my teacher telling my fellow students about the history of Columbus, and how he ” discovered America” and how he was this amazing “explorer and scientist” that helped the world. I quickly raised my hand; I started yelling at my teacher telling her that she was lying. I told her that Columbus was a horrible person that raped and killed Native people. I told her that Native people were here first and that Columbus didn’t really “discover” anything. I remember the teacher looking at me blankly not knowing what to say next. Later that day, the school called my mom in. Sitting there next to my mother, I was thinking about what was going to happen during this meeting with the teacher. The teacher comes in and greets my mother, the teacher proceeds to tell my mother about my outburst. My mother then pursed her lips together and made a sighing sound, which I knew meant someone was about to get yelled at. 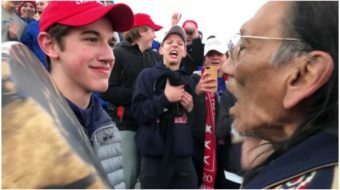 My mother began to go off on the teacher, yelling at her about Columbus and genocide of our people and that I had every right to be upset and correct her. The teacher first looked shocked and calmly proceeded to tell my mother and me to “get over it” and that “it happened a long time ago.” My mother then told her, well…something not so nice. I’m sure readers can add the cursing themselves. We left the school and my mother took me to get ice cream. As I was eating my ice cream, I realized then that our educational system was seriously flawed, and that as a Native person I would have to live with people celebrating a man who caused the genocide of my people. 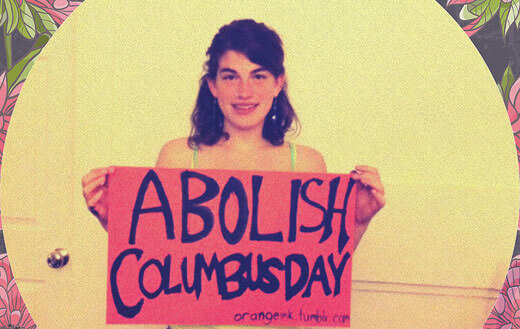 Indigenous people have been fighting Columbus Day for years. In 1977, the American Indian Movement (AIM) and other Indigenous rights activists presented the idea to get rid of Columbus Day to the United Nations at the International Conference on Discrimination Against Indigenous Populations in the Americas. In the last few years, Native people have started a renewed effort in the fight against Columbus Day and ask that the day be changed to Indigenous People’s Day and that schools teach the true history of what Columbus did. This would kick off Native American History Month, which is November, a few weeks early. Skip ahead to Monday Oct. 7, the Seattle city council voted to have Indigenous People’s Day on the same day as Columbus Day. 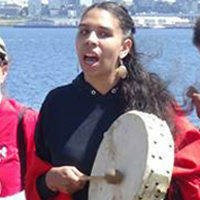 The Seattle’s Indigenous People’s Day resolution was drafted by Last Real Indians educator and writer Matt Remle (Haukpapa Lakota). 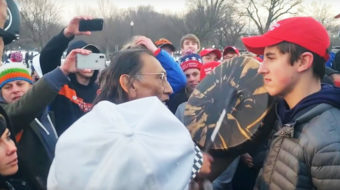 The resolution went into the meeting with the support and/or endorsement by 12 organizations and government agencies, such as the Affiliated Tribes Northwest Indians, the Northwest Indian Bar Association, the Swinomish Tribe, the Tulalip Tribes, the United Indians of all Tribes Foundation and many others. Even though Seattle and Minneapolis have passed the Indigenous People’s Day resolutions, it’s still not enough. The Americas as a whole need to look at how the history of Columbus is taught. My hope is that other cities will soon follow with similar resolutions and then hopefully one day there will no longer be a Columbus Day and will have Indigenous People’s Day to learn about. I hope my kids will be able to go to school and hear the truth of what happen to our people, and that I won’t have to be called in to have a talk with a teacher about Columbus.